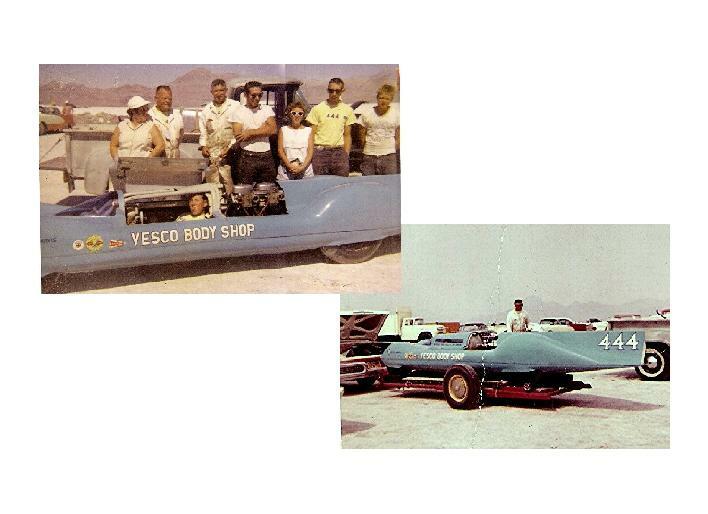 We recently were given these photos from 1957 showing Little Giant's first trip to the salt. 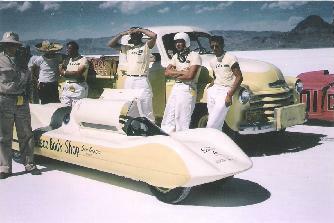 John Vesco, driver Jimmy Dinkins and Chuck Vesco wait at the starting line. 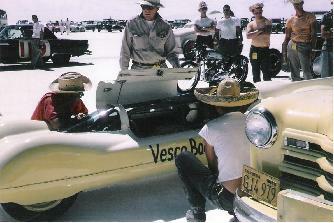 "Ricky" Vesco looks on from the push truck. 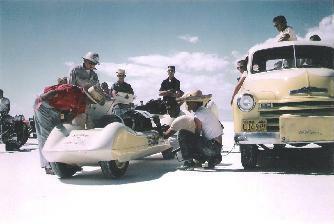 Starter, Bob Higbee (left) gives last minute instructions to Dinkins. 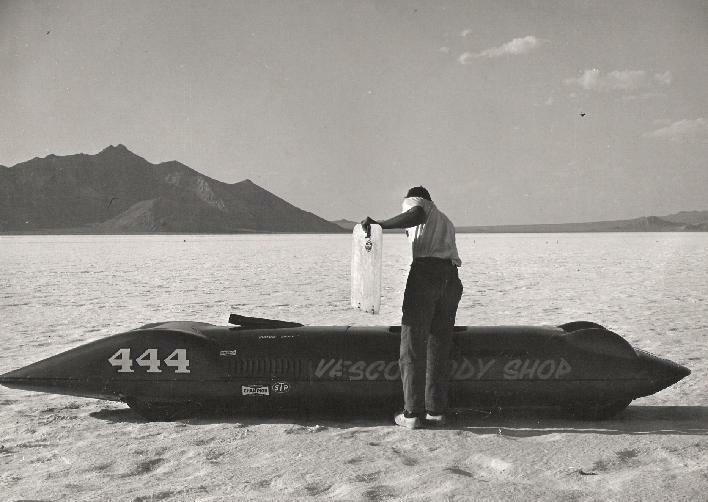 #444 is ready to roll with an excited, young Don Vesco watching. 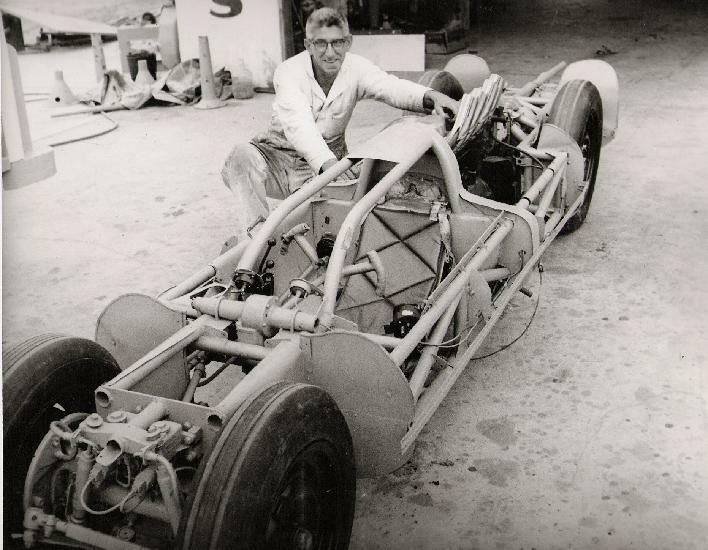 1959: Little Brother Rick sits in cockpit. 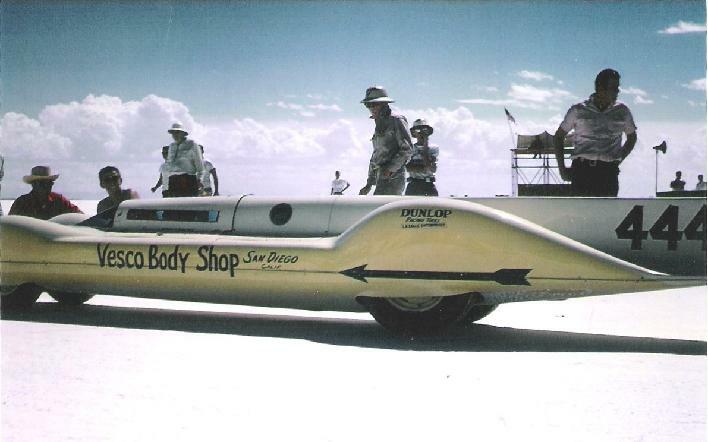 Early 60's: Note exhaust pipes come out of intake side of Riley head. 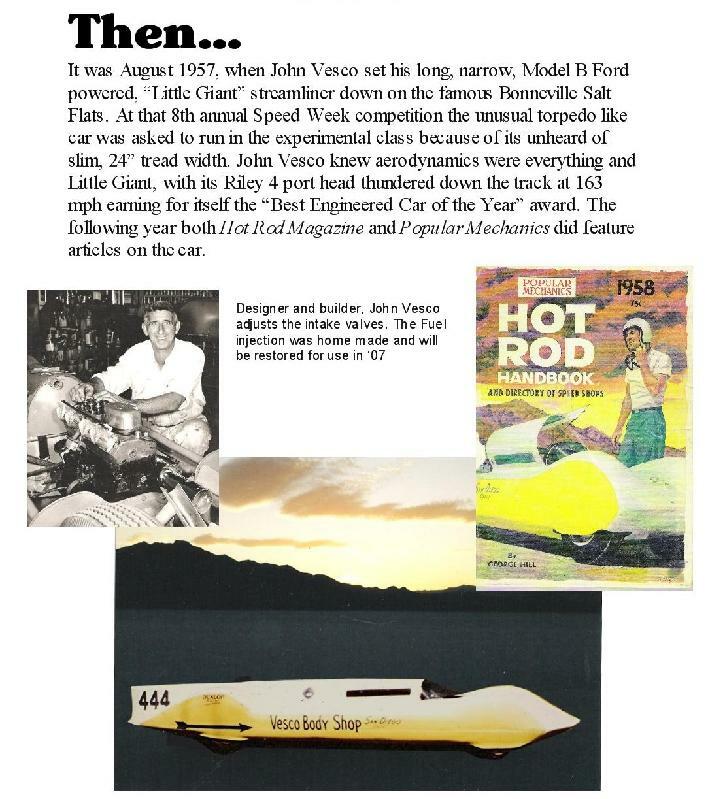 Johnny put a blower on and reversed the camshaft. 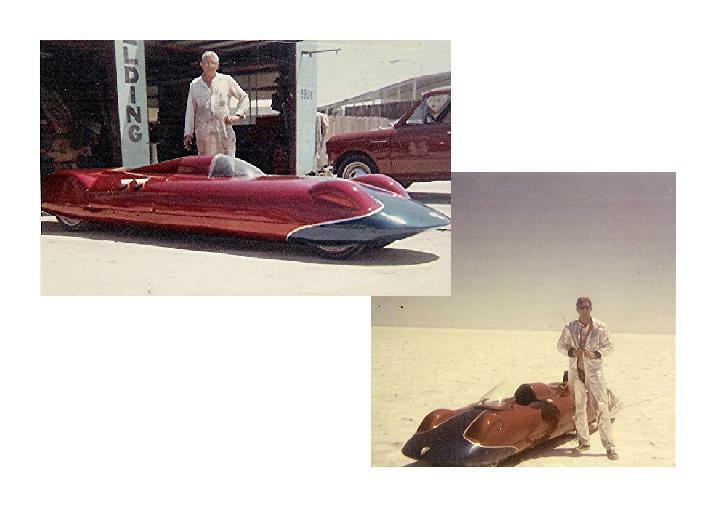 1963 Don Vesco drives "Little Giant" 222.79 mph with a 180 cc "Offy" earning a place in the 200 mph Club. 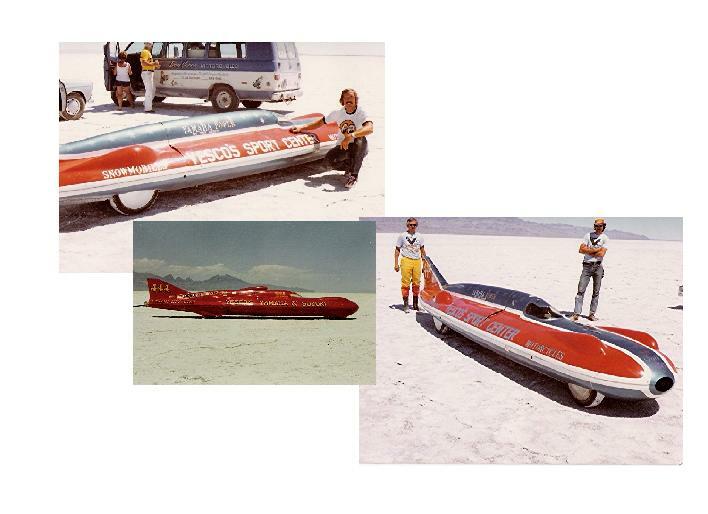 1976: Rick joins brother Don in the 200 mph Club at 211.957 mph with two 700 cc Yamaha engines. 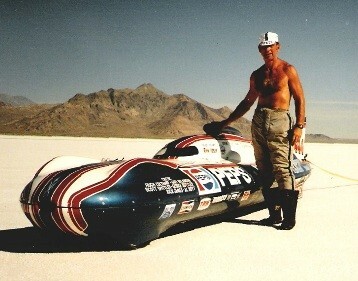 1985: Dave Spangler sets a record of 295.802 mph with a 355 cc Chevy on gas. 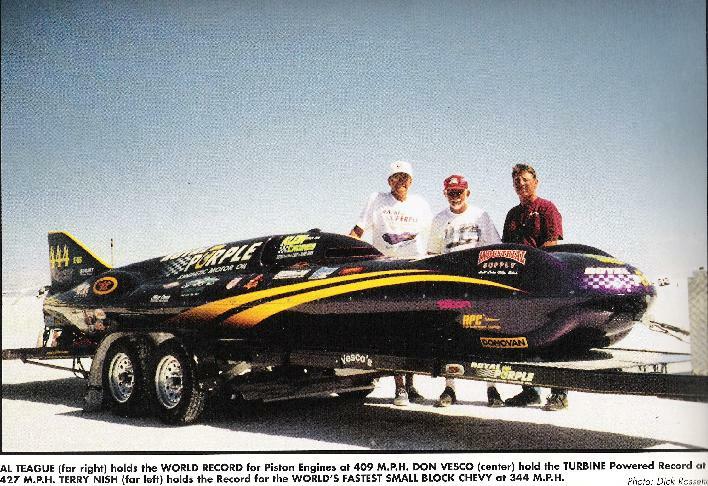 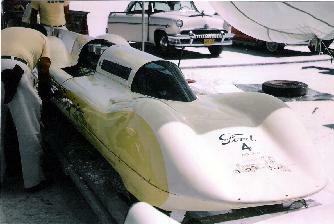 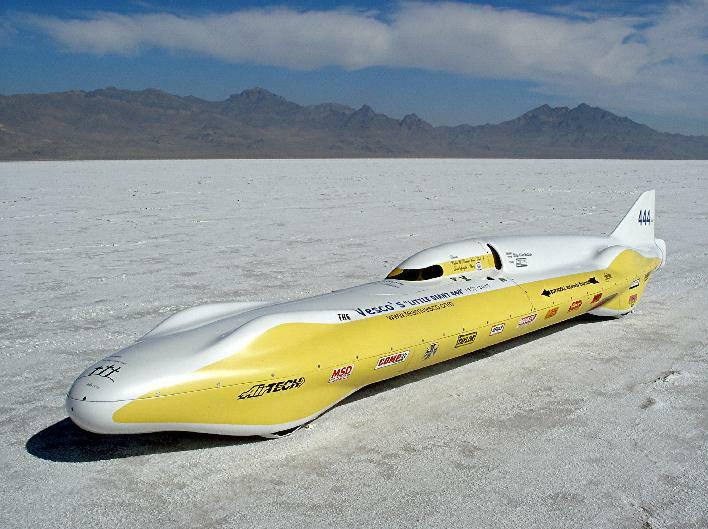 1993-1999 Nish Motor Sports - Terry Nish and sons, borrows #444, setting many land speed records.